This Agreement is concluded between the Employee and the Employer. 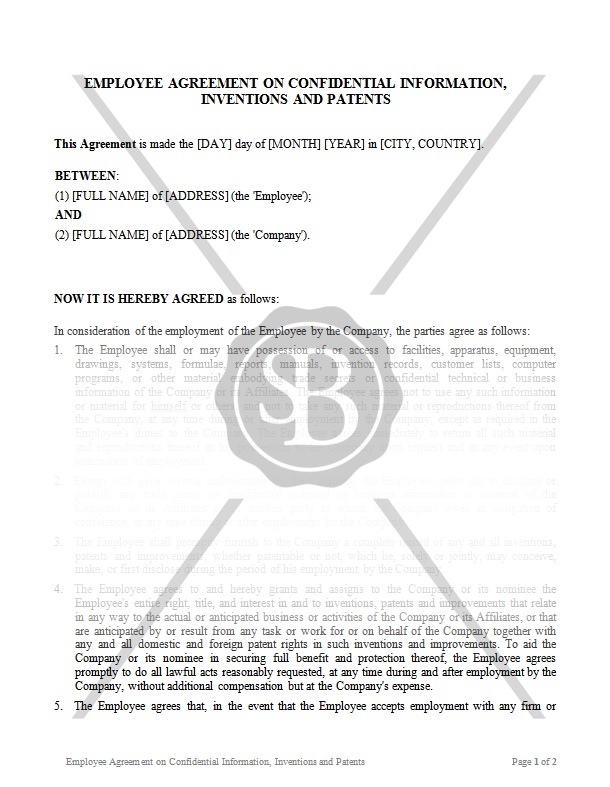 The Employee shall or may have possession of or access to facilities, equipment, systems, reports, or other material embodying trade secrets or confidential technical or business information of the Company or its Affiliates. The Employee agrees not to use any such information or material for himself or others, and not to take any such material or reproductions thereof from the Company, at any time during or after employment by the Company, except as required in the Employee's duties to the Company.